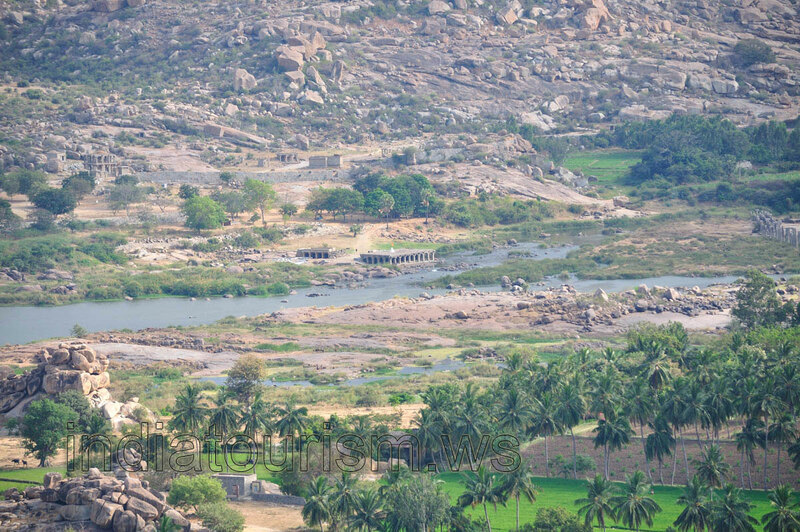 View of the temple on the bank of the Tungabhadra river. Many people in India consider this river as a sacred river. Pilgrims take a holy dip in the river and it is believed the dip in river at Harihar (a small town in Davanagere district in central Karnataka) will cleanse them of their sins.